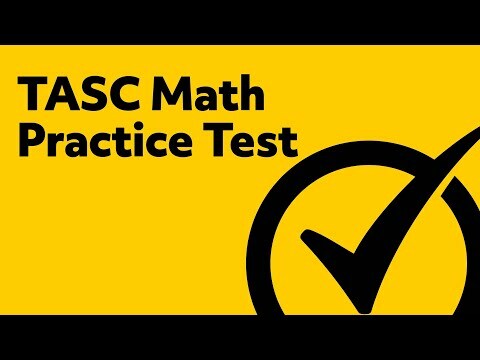 Once you have taken the TASC Math practice test, you will be better-prepared to take the Test Assessing Secondary Completion (TASC). Once you have passed the CTB/McGraw-Hill TASC high school equivalency test, you will then be ready to take on more advanced learning. The TASC test allows the use of a scientific calculator. The math portion of the TASC test covers geometry, algebra, graph interpretation, probability, and quantitative reasoning. The free TASC Math practice test will also cover these areas and provide you with a detailed explanation of each answer.